Entries categorized "Culture - Around the World"
The Morning Glory cloud rolls are essentially gigantic rolling waves of air -- strong vertical winds at the front of each cloud and insane turbulence at the rear, according to Wikipedia. The phenomena is so incredible there's an entire website dedicated to photos, videos and tourist information. 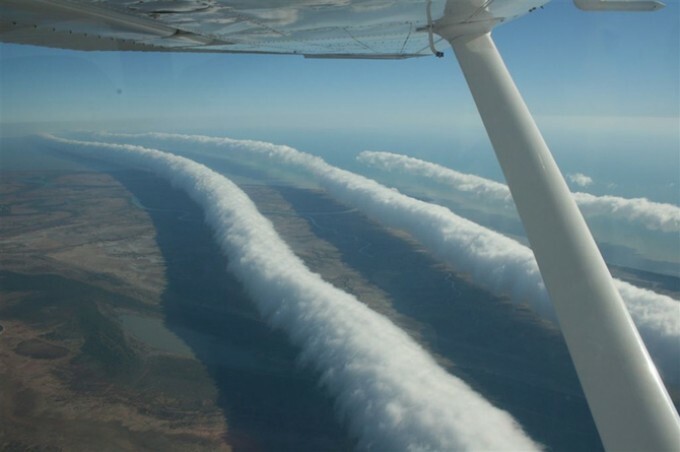 Best of all is Rob Thompson's documentary footage of some of the hang gliders who surfed the Morning Glory clouds. A major family collection of German Expressionist art "so rare that it is almost indescribable" has found a permanent home at the Virginia Museum of Fine Arts. The gift-purchase of the Ludwig and Rosy Fischer Collection brings to the museum more than 200 pieces of art from the most creative years of German Expressionism. Museum Director Alex Nyerges, who deemed it "almost indescribable," says the collection is of "not just national but international importance." "It is a statement of an era, a statement that cannot really be duplicated. It's a snapshot of time taking us back 100 years to look at one of the most important artistic movements of the 20th century. . . . This collection represents it so marvelously." Works by Ernst Ludwig Kirchner, Emil Nolde, Wassily Kandinsky and August Macke, among others, were collected from 1905 to 1925 by Ludwig and Rosy Fischer in Frankfurt, Germany. The TD also has a great interactive slide show of the new German Expressionist works. Across the Mall at the National Gallery, the work of Ernst Ludwig Kirchner exploded in an aura of color, tension and pain. Kirchner's work exhibited a different sort of mastery, born not of reproduction, but of expression. It is very easy to see how Bauhaus could never have emerged in Germany without the work of Kirchner and his cohort in Die Brucke, and how Kirchner could never have emerged in Germany without the carefree bohemian lifestyle and the horrors of war that anchored his art, and fed his addictions and madness. I can't wait to get blown away again at the Virginia Museum of Fine Arts when I see this new collection next year. This bouncy little video, and accompanying back story, has been making the rounds on Twitter, but there's an important customer service lesson for airlines -- and everyone else operating a business. The lesson is a simple one: technology levels the playing field, and crushes the ability of your marketing and PR teams to whitewash poor service and dismissive attitudes toward customers. There was a time -- oh, about three years ago -- when "Shift Happens" (aka "Did You Know?") was sending corporate executives into all sorts of conniption fits because the people of China and India were going to eat our souls if we didn't act fast to teach every child in America six languages, and some basic math. It's still a bit boggling, but "Did You Know 3.0" really does feel very 2008. As Jello Biafra said, "We've got a bigger problem now." 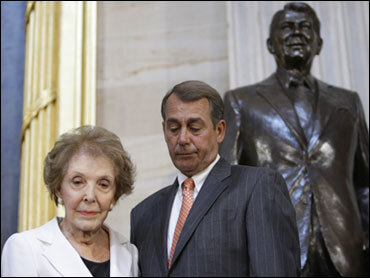 Of course, he meant Ronald Reagan, who incidentally has a nice new statue in Washington. Yellow is the new black, according to Pantone. Specifically, the color company forecasts that the shade Mimosa is the hot color for 2009. This I learned from The City Sage, my new favorite style blog. If you had asked me a month ago who I thought the perfect male foil for an advice column on relationships might be, I don't think I would have suggested Jack Lauterback. But in retrospect, pairing the man behind Richmond's semi-torrid Jack Goes Forth weblog with the demure Susan Howson of RVANews to dish on dating makes a lot of sense. Ladies and Gentlemen, welcome to Robot Hearts -- an RVANews special. For those of among my readers who remember "going steady" and their first malted with their sweetheart, this advice column probably will do you no good. Not a lick of good. Recent reports of tankers being seized off the eastern coast of Africa aside, most people are relatively unaware of how prevalent piracy has become around the world -- or how lucrative a business. The folks at BLDG Blog report on what might become one of my favorite daily links (for all the wrong reasons) -- Live Piracy Map. It's an obvious companion to the Weekly Piracy Report, also issued by the International Chamber of Commerce's Commercial Crime Services. 16.11.2008: 0430 UTC: Posn: 04:08N - 006:50E, Bonny outer road anchorage, Nigeria. Six robbers armed with automatic weapons opened fire at a refrigerated cargo ship at anchor. Robbers in a speedboat circled 4 times around the ship and left. No injury to crew. 14.11.2008: 2134 UTC: Posn: 04:25.6S - 048:58.5E, off southern Somalia. Pirates heavily armed with automatic weapons and RPG in two speedboats chased and fired upon a container ship underway. Master increased speed, took evasive manoeuvres and crew activated fire hoses. Pirates aborted the attempted attack at 2256 UTC. Ship sustained damages due to gunshots and RPG fire. No injuries to crew. 14.11.2008: 0635 UTC: Posn: 13:21.3N – 047:18.86E, Gulf of Aden. Pirates armed with automatic weapons in three small speedboats approached a chemical tanker underway. Master contacted coalition warship and took evasive manoeuvres. The speedboats spread out and approached the vessel at high speed. The pirates failed in their attempt to board the vessel. 13.11.2008: 0630 LT: Posn: 13:28.0N – 049:21.5E, Gulf of Aden. Six pirates in a fast speedboat approached a bulk carrier underway. Master raised alarm, took evasive manoeuvres and crew activated fire hoses. The pirates ordered the ship to stop but master continued with the evasive manoeuvres. The pirates fired upon the ship with two rocket propelled grenades and automatic weapons. Master called coalition warship and asked for immediate assistance. A coalition warship responded and came to the location in 15 minutes and chased away the pirate boat. No injuries to the crew or damages to the ship. Boing Boing points you in the direction of Kings College Materials Research Group's instructions on brewing the perfect cup of coffee. It's all about chemistry.